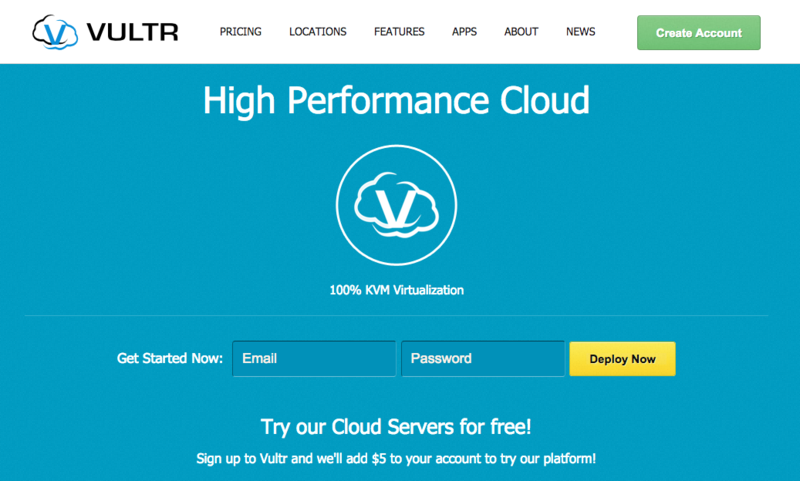 Vultr has launched One-Click WordPress Deployment Apps. You can now deploy WordPress on Vultr in just 60 seconds. 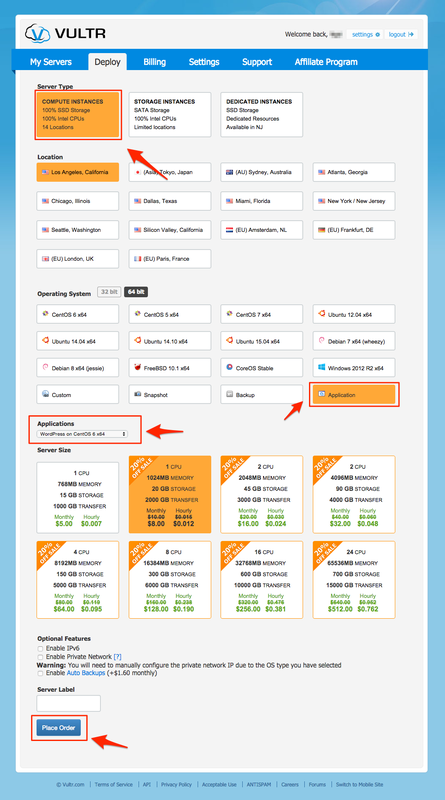 After this, you’ll be redirected to the Billing Page. Follow the prompts to enter your billing information. 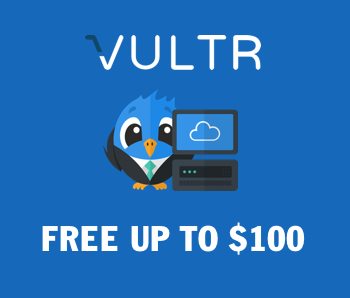 After you’ve setup billing for your Vultr account, you can deploy your first server with them. Click Deploy to begin setting up your WordPress server. – In Server Type choose COMPUTE INSTANCES, it’s the best server to use with WordPress. – Below Operating System, you’ll see a number of options. Select Application option and “WordPress On CentOS 6 x64“. – After this, select your Server Size and optional features (I personally didn’t select any, though if you have any questions, feel free to ask in the comments). Name your Server, then Place Your Order. After a few minutes, your WordPress Server will be ready to go! See WordPress app details here.